The sixth edition of the big Parisian exhibition, under the 13.500 sq of the renowned transparent dome, brings the work of two talented artists extremely valued in the world, whose imagination forms a white urban area with boundaries lost in myths. 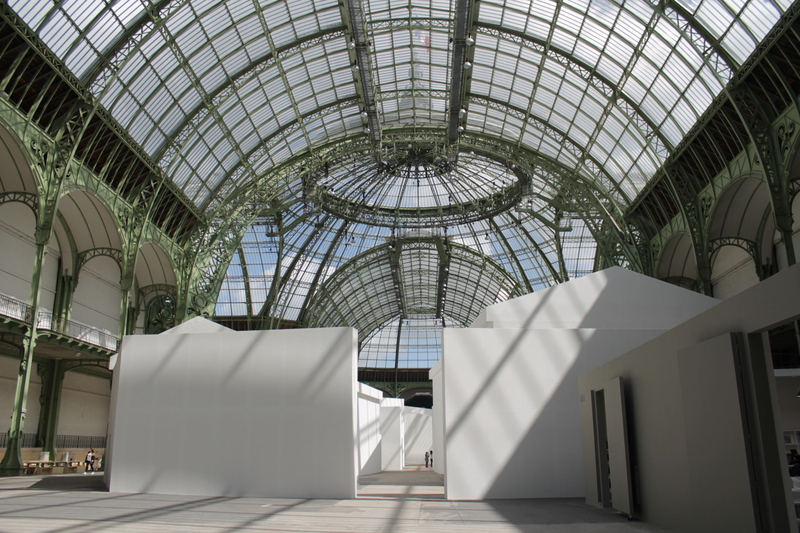 For Monumenta 2014, the couple formed by Russian artists Ilya and Emilia Kabakov, invested the Canopy of Grand Palais with a city, utopia and mystery.. Nine stages introduced by an impressive rose window, detailed in the spaces delimited by high white walls of a maze dotted with autonomous and integrated structures. These are their conceptual limits, with references to landmarks such as Manas, the legendary symmetrical Tibetan city suspended between heaven and earth. 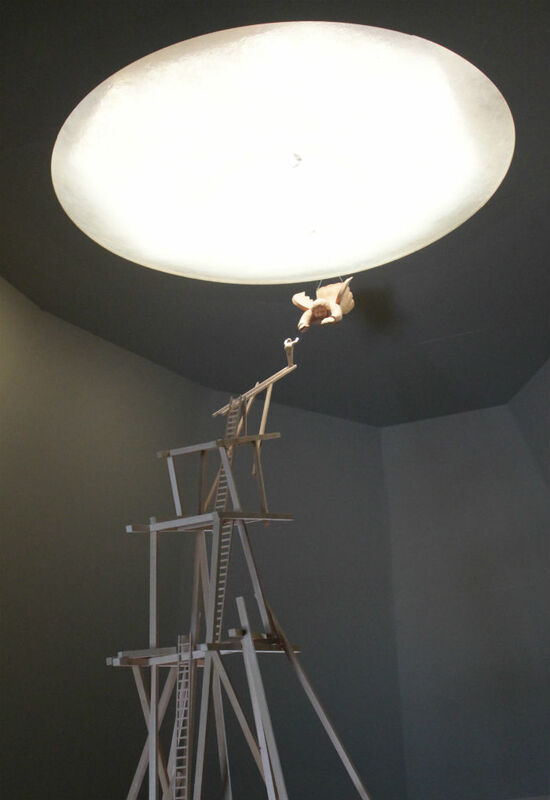 A different sight of a “Strange City” that greets the visitor in between political echoes and beyond references, like an alien user but familiar at the same time, in which the communication on the ground and on the other world uses various ladders, one of which crossed by an angel. Visionary scientific elements and projects, detailed by scale models, join the portals made to inspire the transition mentioned above. These is the backbone of the system while the spiritual part is based on an empty museum, characterized by intense colors and plunged in the notes of Passacaille de Bach and two specular chapels, a light and a dark one ( like the invisible cities imagined by the Italian writer Italo Calvino). All in a progressive and poetic combination, which invites mankind to accept, with confidence, the challenges of everyday life and to trigger the mechanisms of transfigured empathy that are close to the dream. 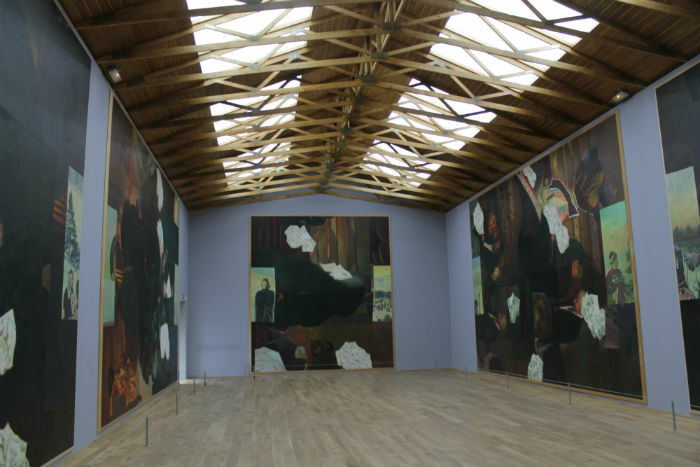 Despite not being able to outshine the beastly and maternal suggestions of Kapoor’s Leviathan (made in 2011), probably one of the best interpretations of the places, the Mediterranean whisper of the Kabakov offers glades of reflection to the visitor. Initially scheduled for last year, but moved to this year because of long-standing issues of budget, the largest exhibition organized by the Réunion des Musées Nationaux-Grand Palais and the Centre national des arts plastiques (CNAP), with the support of the General department of artistic creation of the Ministry of Culture and Communication, with the participation of Multimedia Art Museum de Moscow and of galleries Thaddaeus Ropac (Salzburg-Paris) and Lia Rumma (Milan-Naples), Monumenta 2014 has finally seen light and leaves open several issues regarding regarding the next edition. For the nature of the event and the logistics of the space artists are called to interpret the places with at least two years in advance. The important resources required, the economic viability recur constantly in one of the more relevant cultural projects formed in recent years and according to some sources like the newspaper Figaro, about 5 million € were spent in 2014, with a half-state owned participation , which covered the cost of installing and operating and the rest for the artist and its sponsors. In 2009 and 2013 the exhibitions were not made and in times of austerity the exhibition of 2015 is on hold, even if the success of the great works of Anselm Kiefer, Richard Serra, Boltanski and Kapoor bode well. However, for the survival of the unique recipe of Monumenta, which leads the general public directly in the heart of the work in a world of solid chimeras, usually not approachable in public museums and private galleries, we have to hope in an enlightened and far-sighted management that does not make draconian cuts also on beauty.